2nd Quarter Wrap Up – Infrastructure: Conquest or Creation? There is a war going on – between the forces of control and conquest and the forces of collaboration and creation. History teaches us that the civilizations which win at either generally get their infrastructure right. In fact, infrastructure may be the difference between the life and death, the prosperity and poverty of a civilization. The United States has spent a great deal of money on infrastructure in recent decades and much of this spending relates to control and conquest. US telecommunications infrastructure is less reliable (and more expensive) than that of other developed countries – but it permits the NSA and a variety of private parties to collect and access intelligence. US software is often buggy, but “trapdoors” provide access to intelligence agencies. In many areas, US roads and bridges are badly in need of repair, but we have poured significant sums into secret underground bases. The United States has also developed a reputation for destroying infrastructure – whether destroying that of Iraq or other countries we invade – or decimating global communities with predatory lending and financial speculation which cause severe dislocations in local capital allocations. Frustrated with the US, the IMF, the World Bank and traditional global financial institutions, the developing world is taking matters into its own hands by launching and financing mechanisms for significant infrastructure investment. 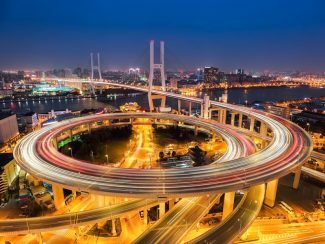 The BRICS nations are acutely aware that prosperity and environmental responsibility depend on significant and cost-effective investment in infrastructure. Opportunities to improve global connections – via air, rail, roads, pipeline, phone, or space – and to integrate new materials and technologies beckon. China’s successful launch of the Asian Infrastructure Investment Bank has brought these questions front and center. In this week’s Second Quarter Wrap Up, I will explore this subject and its implications for US leadership. The Worricker Trilogy raises a critical question. We have piled up trillions of dollars in offshore havens and the bond markets. Now we must reinvest this money in the real economy. However, the real economy cannot produce significant returns without significant infrastructure. The long-term bull market in bonds and quantitative easing are over. Political kickbacks schemes may have worked for engineering the financial coup d’etat and accessing natural resources and privatizations in the developing and frontier markets. However, it will not work for reinvesting in strategic infrastructure investment that Mr. Global wants going forward. Nor will skimming from Mr. Global (as opposed to for Mr. Global) be tolerated. China’s leadership has primarily been trained as engineers. Engineers build bridges, high-speed trains, power and desalination plants and spaceships. The US leadership largely consists of wealthy lawyers. Lawyers make rules, pass laws and litigate – and some of their laws create tax loopholes to fund global foundations and endowments. Which do you think we need? This week, I will also discuss Q2 news stories and financial markets. Talk to you Thursday! If you’re not a subscriber yet, learn more about becoming one here.